Abu Bakr al Rabeeah is a high school Edmonton student and published author. Abu Bakr al Rabeeah's memoir Homes, co-written with Winnie Yeung, will be defended by Chuck Comeau on Canada Reads 2019. Abu Bakr al Rabeeah is a high school student in Edmonton, Alta. He published his first book, Homes, in 2018 with Winnie Yeung. 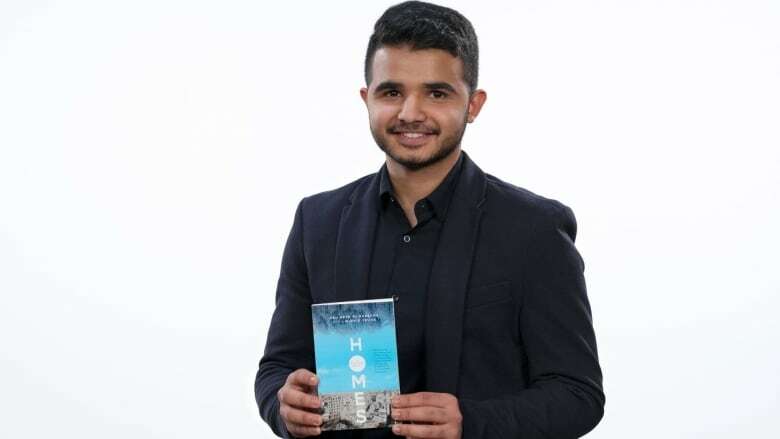 The book is a memoir of al Rabeeah's experiences as a young boy in Syria in the midst of civil war. He and his family moved to Canada in 2014. "I hope readers [walk away] knowing how similar we are, how we have the same things, even though we are from countries far apart. When I first came to school [in Canada], some of my friends asked me, 'Do you guys have chairs back in Syria? Do you have schools?' These kinds of question led me to telling my story. The other thing [I hope people learn from the book] is that, yes, we went through a lot of bad stuff, a lot of problems. But we still had a good life there. There are still people who are happy living in Syria. "Once, after a speech, people came to talk to me. They said, 'We have some new Syrian refugees in the school and now I understand how to connect with them.' That's one of the things that I love." Read more in Abu Bakr al Rabeeah's interview with CBC Books.